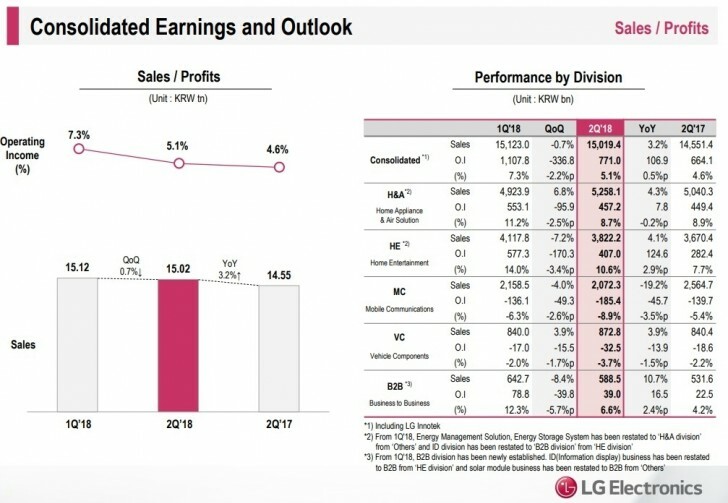 The end of July is filled with Q2 reports and now its time for LG Electronics. The Korean company achieved its highest ever global revenues, highest operating profits and its first KRW30 trillion of sales in 6 months. The black mark on the report is the Mobile Communications division which posted an operating loss and a decline in quarterly sales “due to slowing growth of the global smartphone market”. Speaking in absolute numbers, sales between March and June were KRW2.07 trillion ($1.92 billion). The operating loss was KRW185.4 billion, which is equal to $171.95 million. 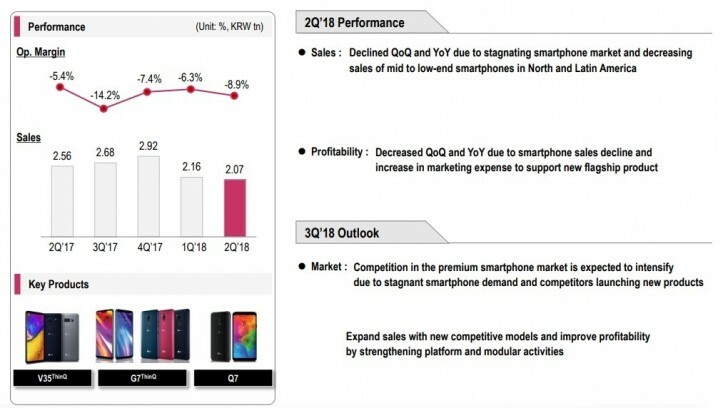 The main reason is the decline in mid-range and low-end sales in Latin America and increased marketing investments to support new flagship launches, including LG V35 ThinQ and LG G7 ThinQ. Hopefully the Fall lineup will be strong enough to bring the phone division back in the black. No pressure then, V40. Where to buy V35 Thinq in Europe? LG always have a problems with distribution. This is main LG problem. A bit harsh, Oreo started rolling out for tge LG G6 in South Korea at the end of April, so you should be getting it anytime now. Maybe contact LG in India & your carrier.